SEOUL -- The hypermarket chain of South Korea's Lotte Group has agreed to sell one of its six regional operations in China to Wumei Holdings, a Beijing-based retail group, paving the way for the withdrawal of its troubled business hit by a prolonged consumer boycott. 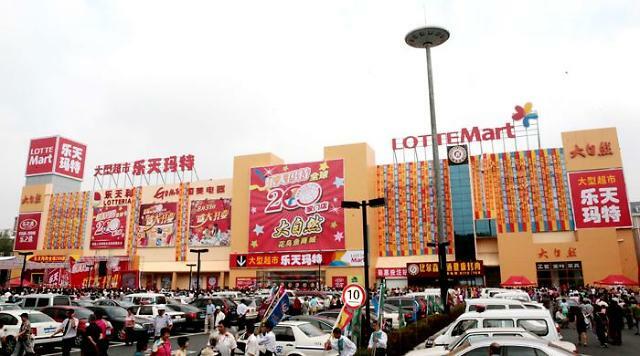 Lotte Shopping, the operator of Lotte Mart, said Thursday that Wumei would acquire 87.38 percent of Lotte's Chinese unit in charge of operating 21 stores in and around Beijing for 248.5 billion won (229 million US dollars). The Chinese group runs 900 Wumart outlets. 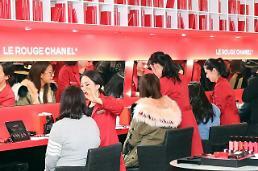 Lotte said it is engaged in negotiations with other potential buyers to sell its remaining five operators in China. The Lotte group has injected an enormous amount of money in China, including a three-trillion won business complex in Shenyang. But construction of the complex was suspended and Lotte Mart sales in China plunged due to a diplomatic row over a U.S. missile shield. Lotte has been the prime target of China's retaliatory onslaught that began after the group pushed for a land swap deal to let US troops set up the missile shield in its golf course. Of 99 Lotte Mart stores in China, only 12 are in normal operation. 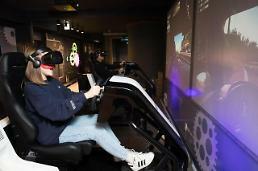 Total losses were estimated at more than two trillion won. The deal with Wumei came two months after Lotte was put under emergency management following the unexpected imprisonment of group leader Shin Dong-bin who was sentenced to two years and six months in prison on charges of bribing Choi Soon-sil, the crony of South Korea's ousted ex-president Park Geun-hye.